Updated 07/13/17 by Jon Martindale to clarify shipping date. 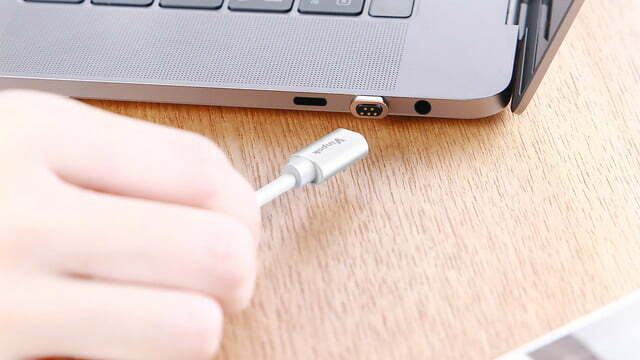 Vinpok’s new Bolt USB Type-C magnetic cable is designed to be a one-stop shop for charging smart devices like laptops, tablets, and mobile handsets, by boosting the available power and connecting easily to the charge port. It makes use of a “snap and charge” design, and ups the ante over other magnetic Micro USB cables by offering up to 87-watt charging for 15-inch MacBook Pros. While its claims to being the first to offer such functionality in a magnetic cable could be debated, its ease of use is a significant feature. 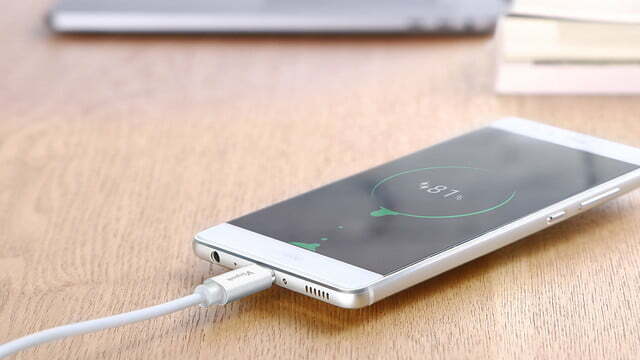 Each cable comes with a USB Type-C plug that fits into the charge port of your laptop or smartphone and then the cable connects magnetically to that to enable charging. The magnetic grip is designed to keep it in place, without the need for plugging in and out, which can cause abrasion over time. Currently available to pre-order for $30 — though said to be typically priced at $60 — the Vinpok Bolt comes in two color options: Black and silver. It’s compatible with all USB Type-C devices, though new MacBooks and MacBook Pros are specifically cited in the product listing. 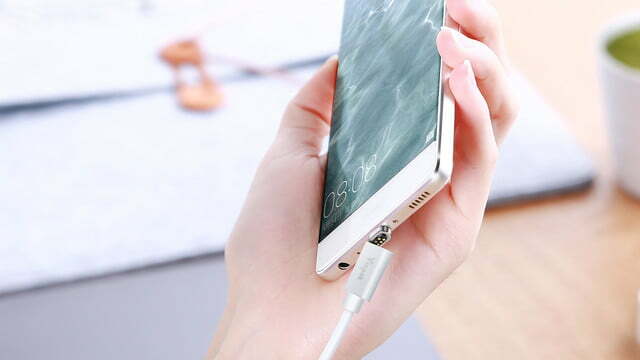 The magnetic connection itself is said to make use of gold-plated needles for a durable and efficient charging with neodymium magnets binding the cable to the adapter, for a strong but easy-to-remove connection. As with other USB Type-C cables, it’s entirely reversible, meaning the age-old search for the correct orientation of traditional USB connections is a thing of the past. Vinpok has confirmed that the Bolt magnetic cable will begin shipping out on July 25, so if you do pre-order one you won’t have long to wait. 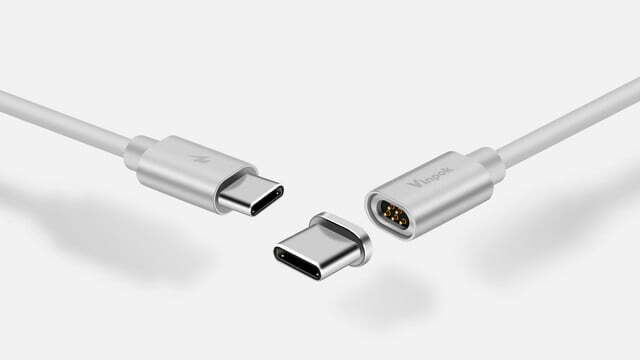 If you can’t wait for this one, Vinpok does sell other cables, like a 3-in-1 connector that combines Micro USB and lightning connectors to make a charger that is compatible with both iPhone and Android devices, though it’s not magnetized. Of course make sure to check your device actually has a USB Type-C port before buying a cable such as this. If you’re running something like a Microsoft Surface, it won’t have one.